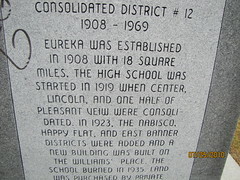 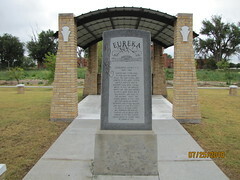 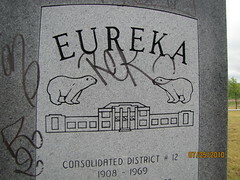 Eureka was established in 1908 with 18 square miles, the high school was started in 1919 when Center, Lincoln, and one half of Pleasant View were consolidated. 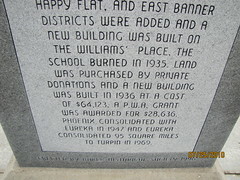 In 1923, the Nabisco, Happy Flat, and East Banner districts were added and a new building was built on the William' place. 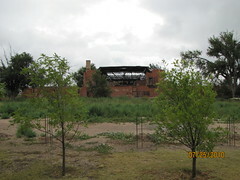 The school burned in 1935. 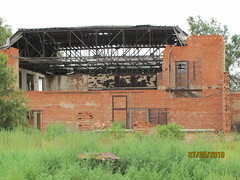 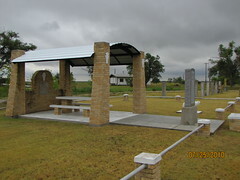 Land was purchased by private donations and a new building was built in 1936 at a cost fo $64,123. 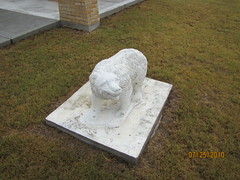 A P.W.A. 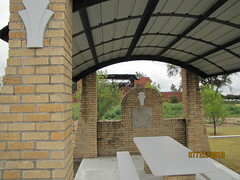 grant was awarded for $28,636. 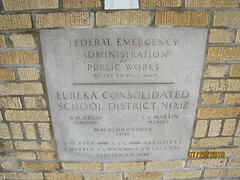 Phoenix consolidated with Eureka in 1947 and Eureka consolidated 95 square miles to Turpin in 1969.